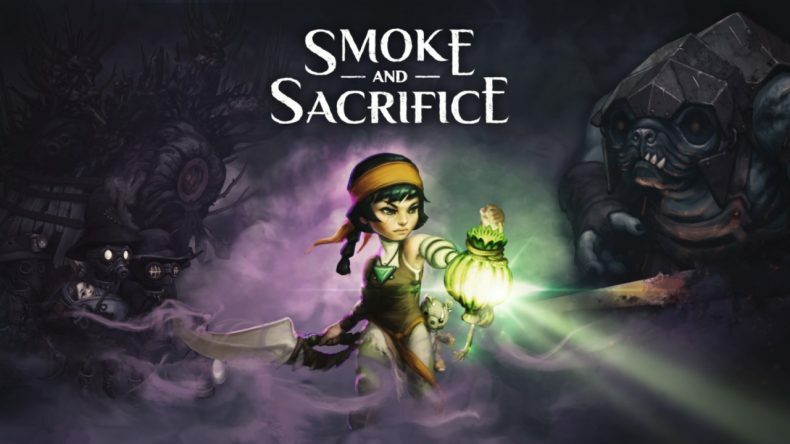 Smoke and Sacrifice was originally released for PC (Steam) and Nintendo Switch on 31st May 2018; now it’s been released on Xbox One and PlayStation 4 on the 15th January 2019. 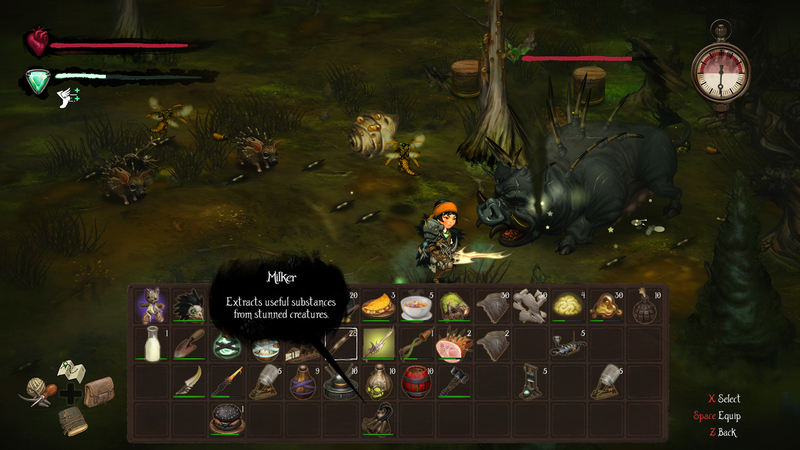 It is an open-world, third-person survival game at its core but also plays like an RPG. 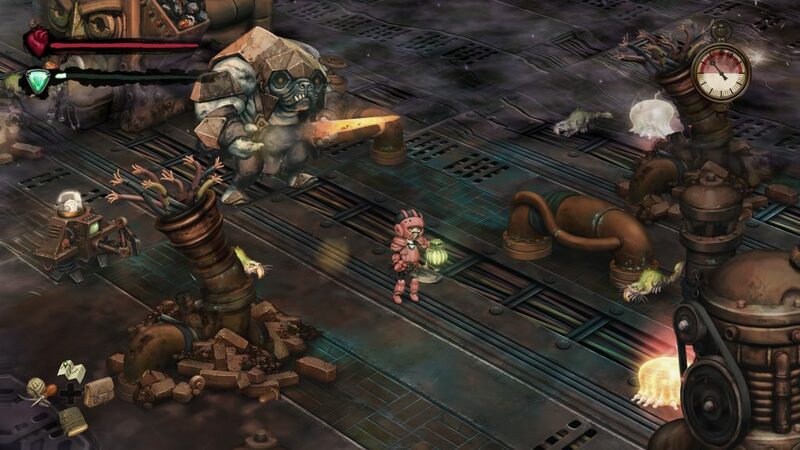 The game was developed by Solar Sail Games Ltd and published by Curve Digital. Solar Sail Games wish to create memorable experiences within their games that leave players thinking about them long after playing. Curve Digital are passionate about the games they publish. Their focus so far has been on indie games, and they have published some very popular titles, such as Human: Fall Flat. The story of Smoke and Sacrifice is vital to the game. It tells the tale of a young woman named Sachi who has recently become a mother. She works very hard to survive in a small village. This village has a church that believes human sacrifice will satisfy their god and will keep them and their village safe. The firstborn of each family must be sacrificed to appease this god. Even though Sachi feels that it is wrong, she is forced to give up her child to be sacrificed. After her son is gone, she leaves the church and comes across a very mysterious character who gives her a pendant. He tells her that she will need it to survive in the future. She then seems to come to terms with the fact that she will never see her son again, and she carries on with her life. Seven years later, monsters appear in the village, and she knows something has gone terribly wrong. The mysterious character that appeared when her son was sacrificed shows up and tells her that her son may still be alive. She grabs what she can and heads to the church where she learns that the method of sacrifice does not kill its victim and only teleports them to what seems like another world. She takes the plunge in the hope that she will be able to rescue her son and be with him again. From there, events unfold that allow Sachi to learn what is really going on with the church in her village and that it all goes deeper than she could have ever imagined. To survive in Smoke and Sacrifice, you must craft everything. When I say everything, I mean everything. Even a kettle for boiled water. Food will be your source of health, so it’s pretty important to craft, but food can also be found from fighting monsters. As you traverse through the game’s dingy and dark maps, you will also be affected by your surroundings. 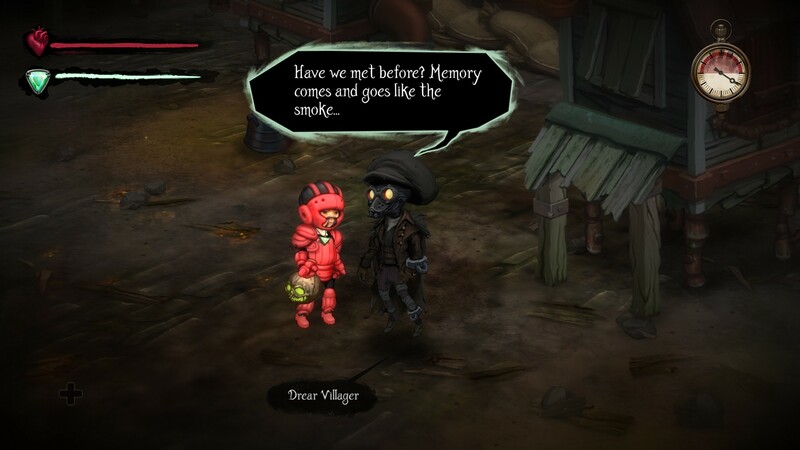 You must craft lanterns to use amidst the smoke, or else Sachi will quickly choke and die. When in cold weather, you must craft clothes using animal hides that are thick and sturdy in order to stay warm. Everything you craft has some importance and is a key to some part of survival. In a story where a mother is attempting to find her son after thinking she had sacrificed him for the safety of her village, I assumed the game would not be easy, and I was right. Sachi goes through so much, and the game is extremely brutal. It is very easy to die in this game, and there are so many things factored into the gameplay that are quite hard to keep up with. I have also found that the monsters can be very difficult to tackle. Everything seems to break easily as well, like lanterns and weapons, so you need to literally pick up everything you come across. 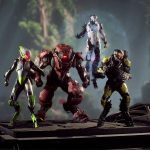 Smoke and Sacrifice has a few issues and one major story flaw. I kind of like the fact, being a woman myself, that the story is of a young woman fighting to save her child. The issue, and major story flaw, is that there is no sign of the father of Sachi’s child. This could have been explained during the beginning of the game quite easily to tie up the loose end, but it is not. Sachi is a simple woman with a simple life, so the fact she faces such dangers in order to save her child makes her an extremely strong and brave character. However, if the father was around, I am sure he would have wanted to save the child as well. Another issue that I have with the game is that there is no mini-map. There is a big map that can be opened shortly after the beginning of the game when Sachi leaves her village, but this map is not very detailed, and I found myself checking it constantly, which was a pain to keep opening. Plus, if you are busy opening your map, you leave yourself open to be attacked. It would have been much more convenient to have a mini-map. As I have mentioned, Smoke and Sacrifice is all about the crafting. This can be a bit of an issue when the crafting system starts to become quite complex and daunting. The amount of ingredients you will need to craft some of the items is a bit over-the-top, and there are simply way too many items to craft. Another issue I have found with Smoke and Sacrifice is the fighting system. I understand that Sachi is just some sort of farmer, but when it comes to fighting, she is extremely slow and sluggish. The fighting system all around feels quite outdated and clumsy. It doesn’t feel like there is any power behind her attacks, so she feels extremely weak. A lot of the time you feel like you are just wandering around aimlessly fighting and crafting. The best thing about Smoke and Sacrifice is the world in which the game is set, along with the characters. Furthermore, the touching story seemed to resonate with me. In this way, it seems that Solar Sail Games have achieved their goal of creating memorable experiences. The world is extremely dark, detailed and creative. Even though the game has its issues, it is very beautiful. 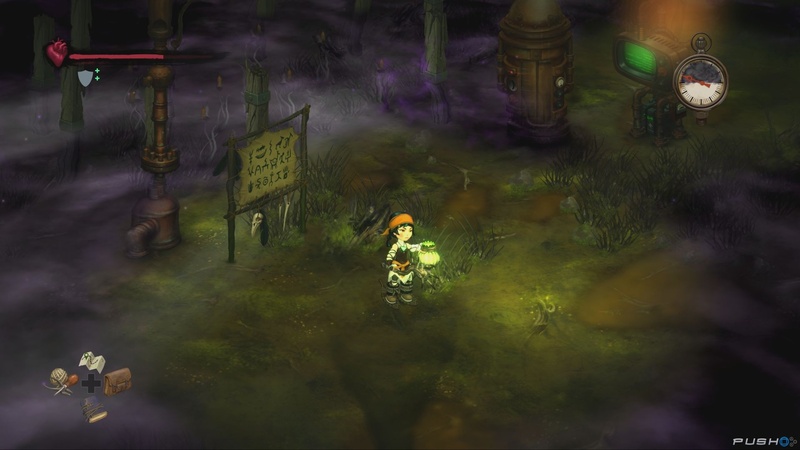 The simplicity of the characters within the game, like Sachi herself, adds to the experience. I love the fact that everything looks like it has come straight out of a comic book. As I have mentioned, the story is quite touching. To be fair, Sachi shouldn’t have given up her child in the first place. Seeing as though she did, this offers players a very compelling and nerve-racking tale. 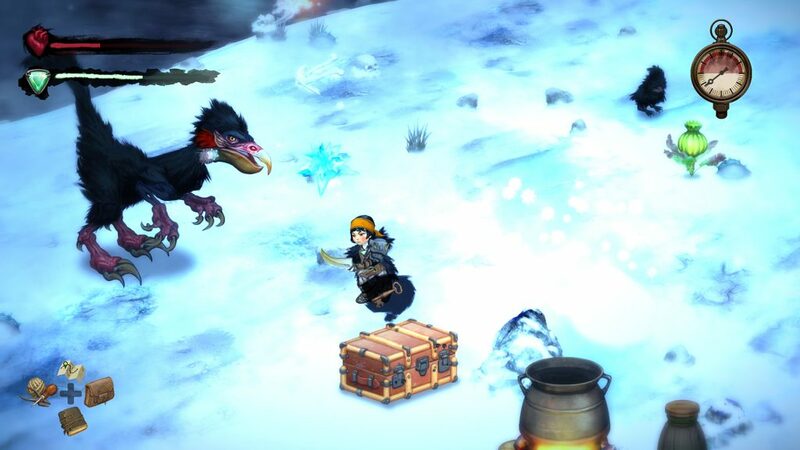 The game is frustratingly addictive, and it’s great to see a survival game that is story-focused. 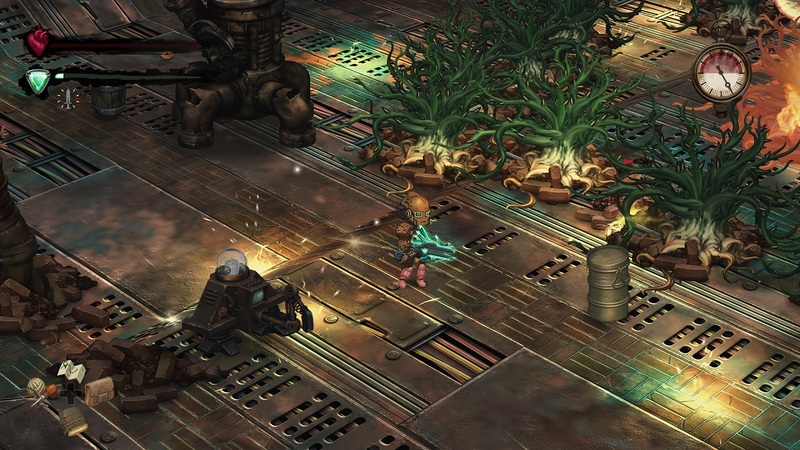 Smoke and Sacrifice offers players a survival game with a great and strong story. The game isn’t without its issues and has a major narrative flaw, but it still presents players with a very compelling story. The fighting system within the game feels very outdated, and the crafting system is a bit too much. Even though these issues aren’t normally problems with survival games, Smoke and Sacrifice balances out these issues with great instructions on how to play along with the frustratingly addictive gameplay. I think fans of survival games would enjoy the game’s challenge very much. If you do decide to play Smoke and Sacrifice, be prepared to die…a lot! Smoke and Sacrifice tells a compelling and dark story of a young woman name Sachi. She is forced to sacrifice her son to keep her village safe, but all is not as it seems. She believes, years later, that her son is still alive, so she goes on a huge adventure focused on survival to find her son. The game is not without its issues, including what I consider to be a major story flaw, but it is incredibly beautiful, as well as simple but detailed.